When starting a blog or a business online, one of the most important features for getting the word out is your business’ domain name. Think of the domain name as the name by which your business will always be known online & offline, example drinks.ng. So, are you still struggling with settling for a domain name? I guess you don’t want to flop or regret so you found yourself here… Before choosing a domain name for your site, it is advised that you make all possible research to help you settle for the best. 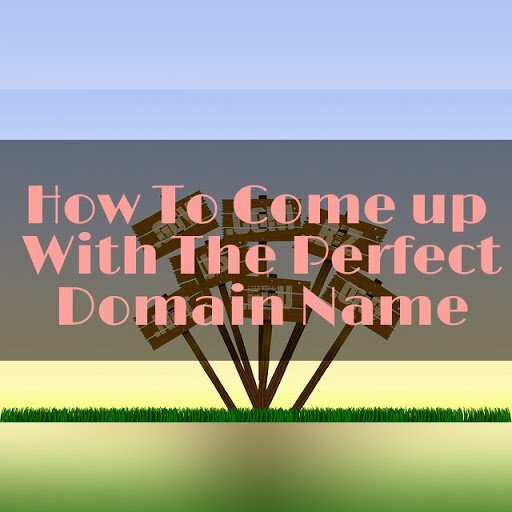 In this article I will share few rules and tips to be considered before choosing a domain name. Before starting a website, the first important thing you probably think of is selecting and buying a domain name. A bad domain name can hurt your blog in long run. It’s a common mistake for people to start any niche blog with their name, Gone are the days such were overlooked. 3. How Difficult is it to Pronounce? It’s definitely not strange to find out that most short and good domain names are taken, thus we are left with just few options. .COM is the best and most popular domain name, as it good for branding and SEO. Although you can use country specific domain for sites targeting a particular country for example, geek.ng domain, if your target audience are for virtually every internet user, go for .com or .org domains as the case may be. Branding is one of the greatest advantages of a good domain name. Isn’t blogtrovert.com is a good domain name, which is easy to remember and tell? Before you begin your search you can choose at least 10 keywords related to your niche, and 5 random popular words. GoDaddy domain name generator can help you to find names to consider. You can also use popular tools like Namemesh or wordoid . These tools gives you list if available random domain names with the help of the keywords given keywords. Avoid domain names already popular in your niche, Settle for a domain name related to your interest which have some good keyword. For example if you planning to start a new tech blog, look for synonyms of tech since most of the tech related words have been taken. Example of such word is geek. Use domain check tools to make sure your new target domain name is available on all major social sites, if not, you can keep looking for other options. Go for easy domain name which won’t be too difficult write and it should not contain “strange characters”. This is to exclude the possibility of typing errors. You probably want a short name, if you do, you must be very creative. Not matter how short, make sure that your domain name is easy to pronounce. avoid words that can’t be misspelt easily example .blogie and blogy, kran and cran, etc. If you choose an Easy to pronounce domain name then it automatically becomes an Easy to remember domain name. Sometimes I feel blogtrovert is too long! Never choose very long domain names likewww.thelongestdomainnameintheworldandthensomeandthensomemoreandmore.com which is one of the longest .com domain names in the world. You cannot make anyone remember this domain and it also does not contain meaningful keywords. Stay away with hyphenated domain names If you are creating a niche blog and wish to have a keyword rich domain, Stay away from domain names with hyphens in them. It is not easy to rank with a hyphenated domain name. It is a better idea to look for alternative domains rather than using a name that includes a hyphen. Before you choose a new domain, make sure you aren’t violating any existing brand copyright policies. For example, WordPress and Facebook will not take it lightly if you have a domain name with their domain names in it. If you do, get ready for an official letter. Do you have any domain name in mind which unfortunately has already registered? Brace up, get a synonyms dictionary and look for better cute names! If you love your option so much, there are many options in terms of domain name extensions such as .io, .net, .guru, .mob, .co, .photo, .buzz and so on. Thanks for the domain name idea and guide but maybe i would love to hear your opinion about my own domain [www.doronize.com.ng] the blog is about cryptocurrency trading. What do you think? doronize is cool, at least it’s short… Now here is my opinion… Since you are cebteredon cryptocurrency, using a domain name with word crypto wouldn’t be a bad idea… Also, a .com domain would have been better… I’m sure you don’t plan on targeting Nigerians alone.